Chrystal Kornegay would be the very first person to say that she doesn’t fit anyone’s traditional image of a banker, not even her own. But that is exactly what she became on Tuesday, when she was tapped as the first woman and the first person of color to lead MassHousing, the billion-dollar, quasi-public agency that drives investment in affordable housing across the state. Among other roles, it’s basically the state’s bank for financing affordable housing. Until now, its leadership has been the domain of low-key, white male bureaucrats who served dutifully, and under the radar. That’s about to get shaken up, because there is nothing reticent about the dreadlocked passionate housing activist from Brooklyn who will assume the helm sometime in February. Kornegay assumes the post after three years as an undersecretary for housing and urban development. But her new role caps a two-decade rise from poverty in New York City to influence in her accidentally adopted hometown of Boston. Kornegay grew up in the Bedford-Stuyvesant neighborhood of Brooklyn. She was a young community activist working in job training programs when she noticed something: Few of the people enrolled in her program seemed to finish. After finishing Hunter College, she won a scholarship to study urban planning at MIT. 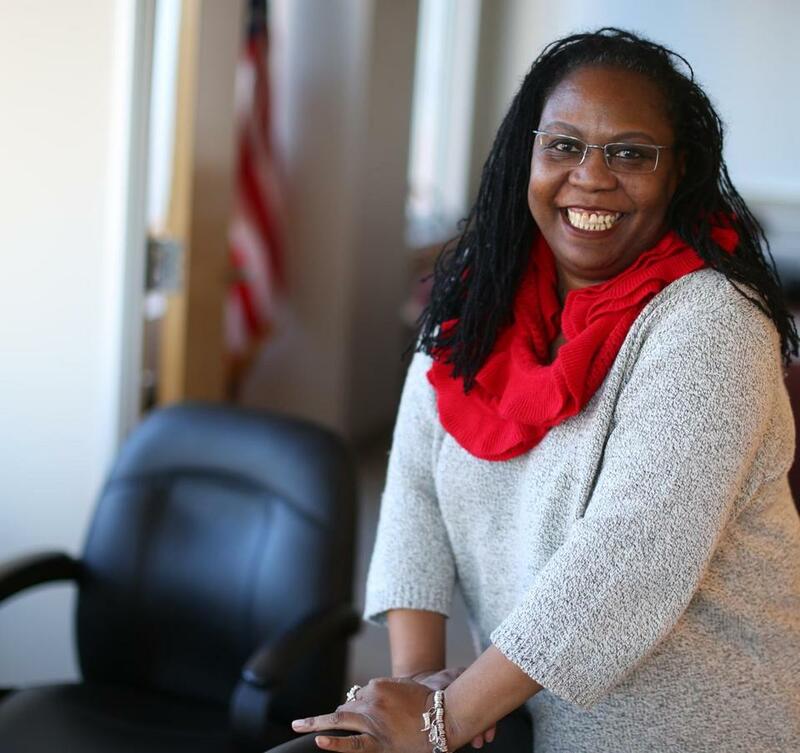 After graduate school there, she eventually became the head of Urban Edge, the great neighborhood housing program in Jackson Square, on the Roxbury-Jamaica Plain border. That’s where Charlie Baker became part of her story, when he was running for governor in 2014. After they met at an event for housing activists, Kornegay invited him to visit Urban Edge to see what her community needed. She extended the same offer to all the gubernatorial candidates, she says, but only Baker took her up on it. When Baker won, Kornegay was quickly tapped for the new administration, despite never having worked in government. She went from being consumed with community issues to dealing with housing on a much larger scale. In her new role, Kornegay will play a major role in figuring out how to fund affordable housing. She comes to it with a deep knowledge of both the issue and her new institution — in her state job, she sat on the board of MassHousing.